“SHAILAJA REDDY ALLUDU” by LA Telugu. 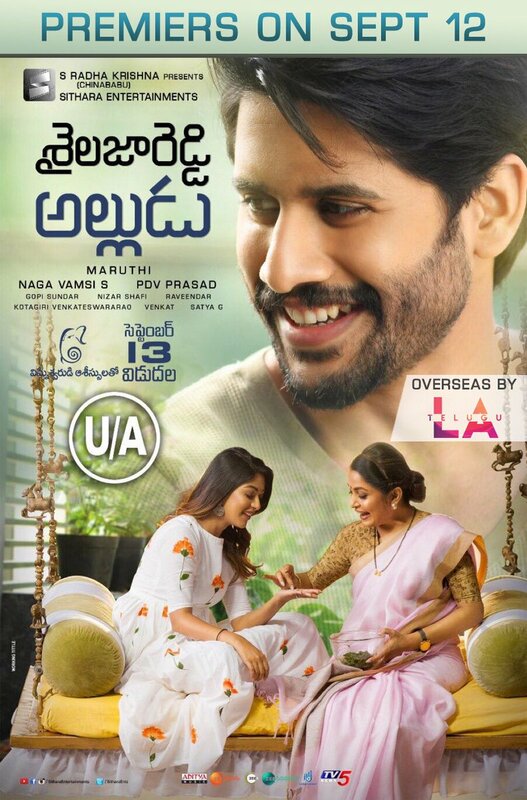 It gives us utmost pleasure in announcing that the overseas rights for Naga Chaitanya’s upcoming movie “SHAILAJA REDDY ALLUDU” have been acquired by LA Telugu. The movie is being produced by S Naga Vamsi under Sithara Entertainments. It is presented by S Radha Krishna (Chinababu) and co-produced by PDV Prasad. The production house assures to give the best cinematic experience. The teaser released yesterday is also immensely liked by one and all and has been trending since then by setting a huge expectation on the movie. We whole heartedly thank Maruthi garu, Naga Chaitanya garu, S. Naga Vamsi garu and PDV Prasad garu for giving us such an amazing opportunity. The movie is set for release on September 13th Thursday with premiers on September 12th Wednesday in highest ever locations in Naga Chaitanya career and is a feast to the audiences in USA and other countries.